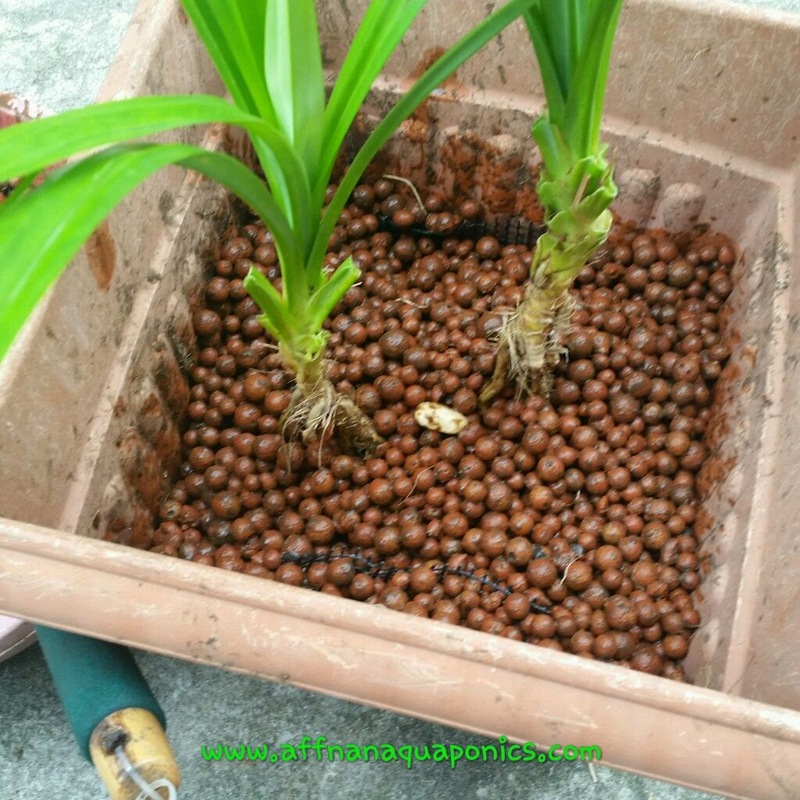 Did Pandan way back in 2010, this plant normally we will grow along the roads or in backyard in Kampung area. This plant can easily grown out of control and this was one of the main reason why I decided to pull it all out. This time I am ready for it, I'll use pot to contain it within that boundary. 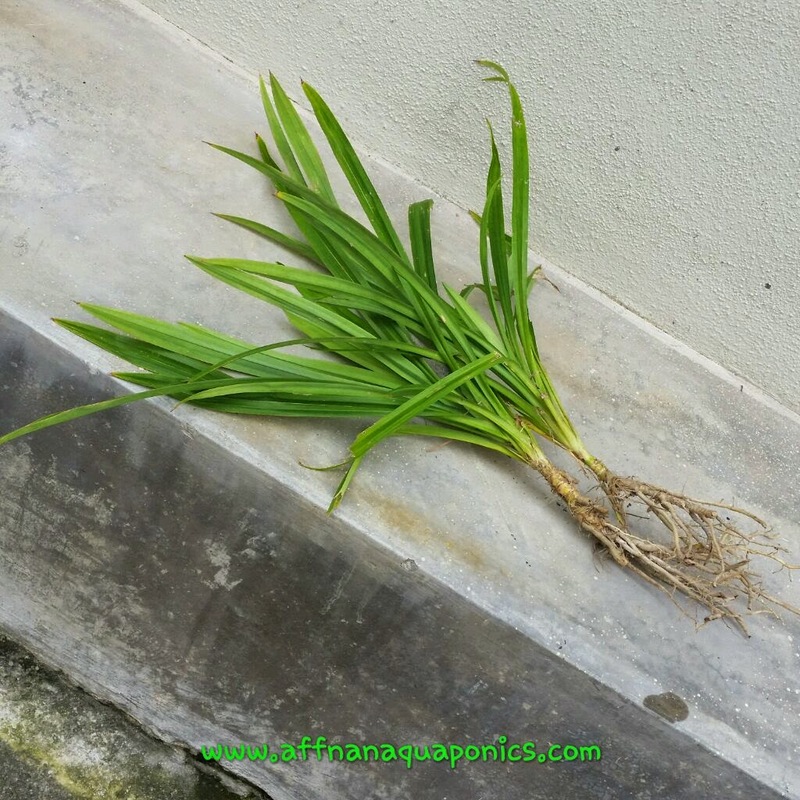 We only need a small amount at a go and just one or two blade of the Pandan leaves is all that is needed for most of our cooking. 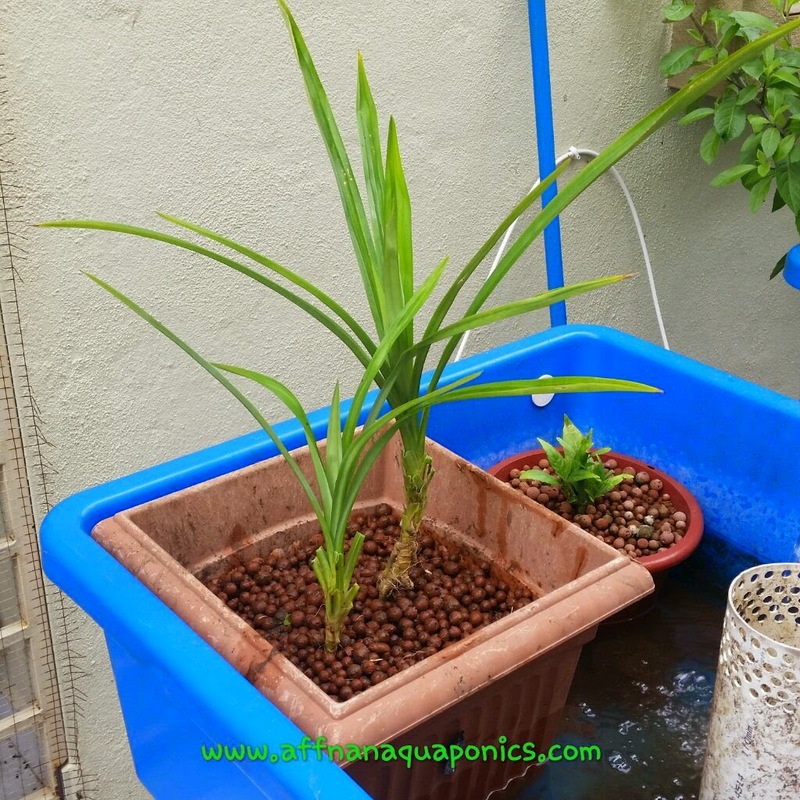 Select two small cluster for growing it in my aquaponics growbed. 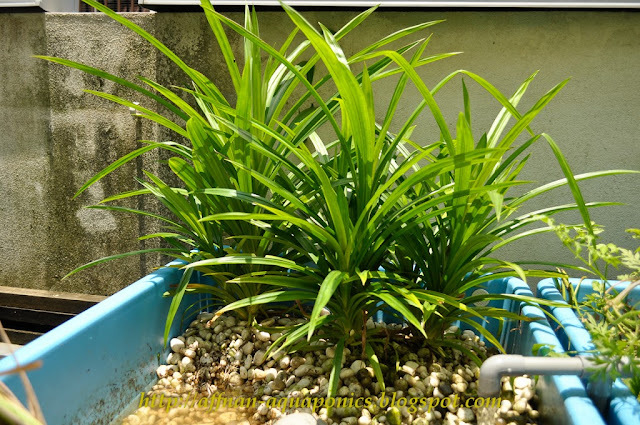 The smaller size is manageable and if I took a bigger plant it will be difficult to do in pot. Trimmed most of the bigger bottom leaves and cut back those roots to get it into the pot. 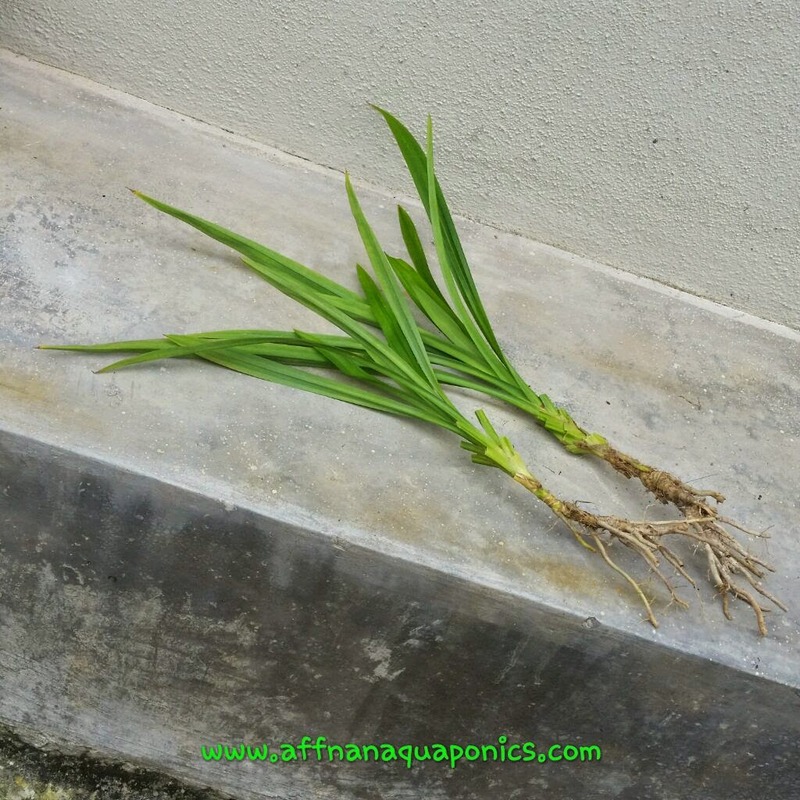 Since it's going to be in aquaponics it will not need that much root as a start. 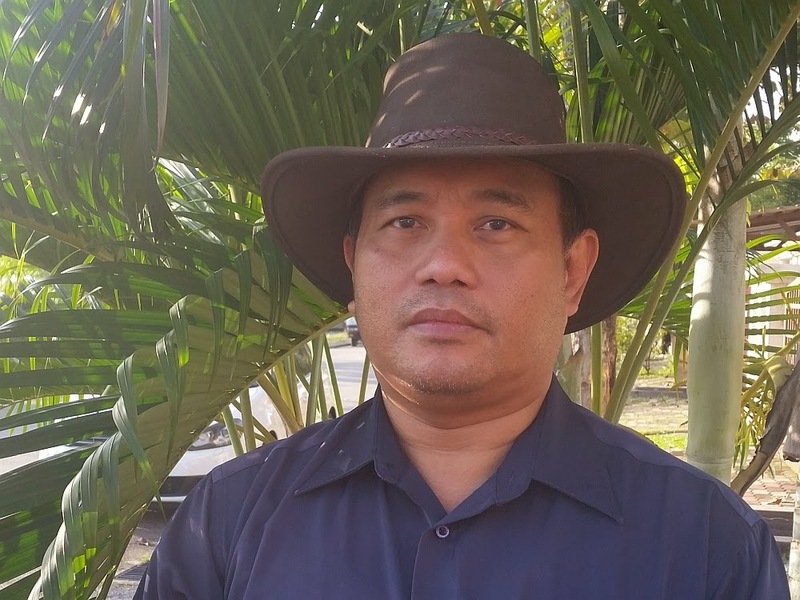 Let it regrow and bind all the LECA together as it grows. Surplus old square container that I use to grow Rosemary is perfect for this task. It's the biggest I have for this job. 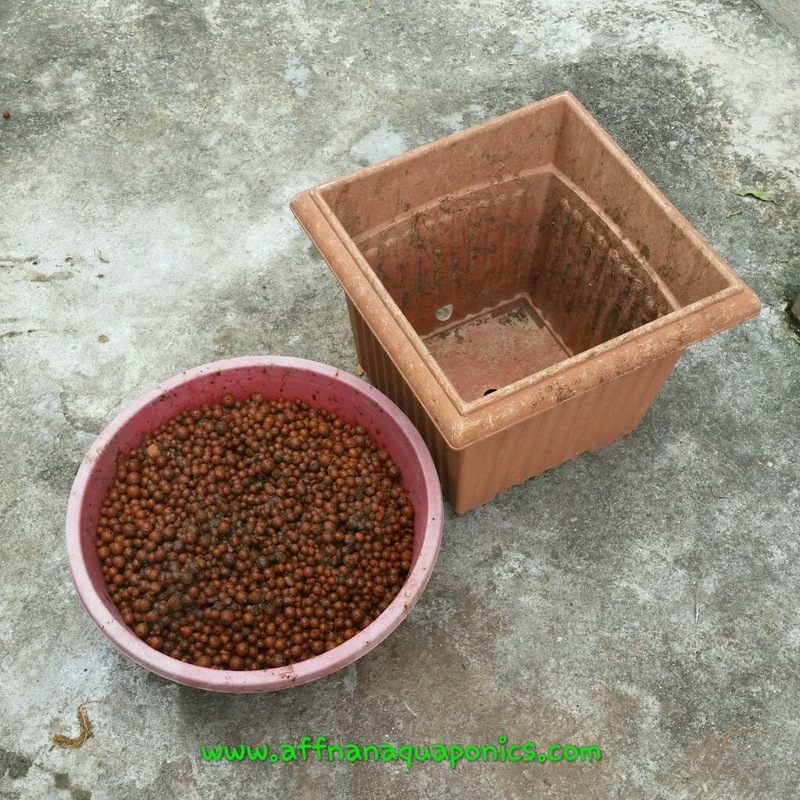 LECA was from the Gandarusa project, three pots required for filling this square container. In goes the pair and filled up with LECA to just able to get them straight. I will add more LECA as they grow. Into the growbed as potted flood and drain, this arrangement the plant will not goes wild and colonized the entire growbed as it did few years back. Being in container it will be easily managed as needed. This setup can also work for other crops that grow out of control. Wander how pandan taste do. Yes, this way to contain those plants. Yam is one of those that came to mind at the moment. Did u try alovera ? No, however I think it will do well.